Need a place to store all your garden seeds? 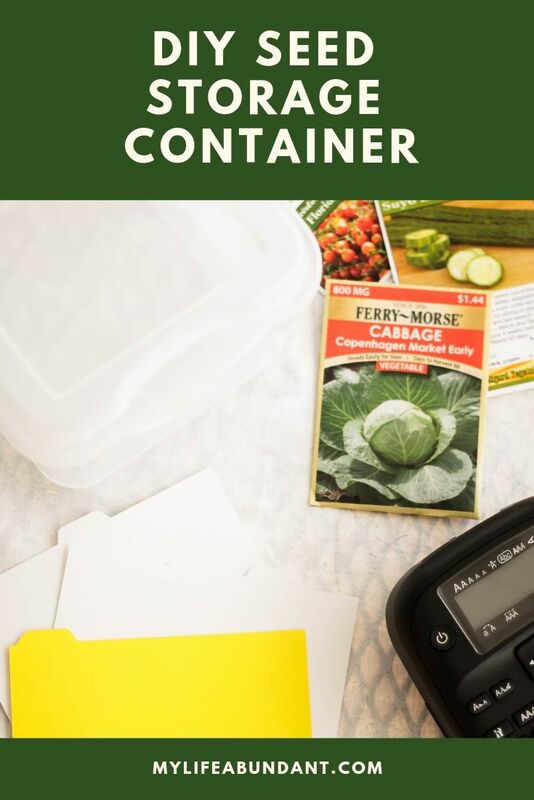 I have the perfect DIY Seed Storage that’s easy to do and the perfect size. Before spring planting, I refresh myself with charts on the best time to plant, looking at new seed catalogs and basically cleaning up all my past garden paperwork. I also pulled out all the seeds I had to start my plants inside and realized I had such a mess with all my seed packets. They were just thrown in a ziplock baggie with no organization at all. I had to dump them all out just to find a couple of packets I was looking for. It was time to organize my seeds in their own container. I had expired seeds, half-used seed packets, loose seeds, several of the same types of seeds since I didn’t know I already had some and general mayhem when I opened up those zip lock bags. I had flower seeds mixed in with the veggie baggie and herbs mixed in with the flower baggie. The hardest part of this whole project was finding the perfect container. Seed packets are all basically the same size, but I didn’t want a container that would be really large either. Since I don’t keep many seed packets on hand, the “perfect” storage container was becoming hard to find. And then I found it. A plastic CD container with a lid that snaps on and will allow the seed packets to lay on their sides. With the container in hand, I next sorted out all my seeds into groups. Lettuce, Veggies, Herbs, and Flowers. I then sorted each pile into separate seed sub-categories. Ex: Lettuce – spinach, kale, lettuce. I next made some simple index cards using my cutting machine in bright yellow and one pink using card stock I had on hand. I then labeled all the index cards using my label maker. The 3 yellow index cards were for the main categories of Lettuce, Veggies, and Herbs and the pink index card was for my flower seeds. The white index cards were labeled in sub-categories. That label maker has come in handy so many times. Every household should have one. The seeds lay so nicely in between the index cards, very stable and not moving all around. I love that all I have to do now is look for the name of what seed I want to plant and it’s so easy to find. 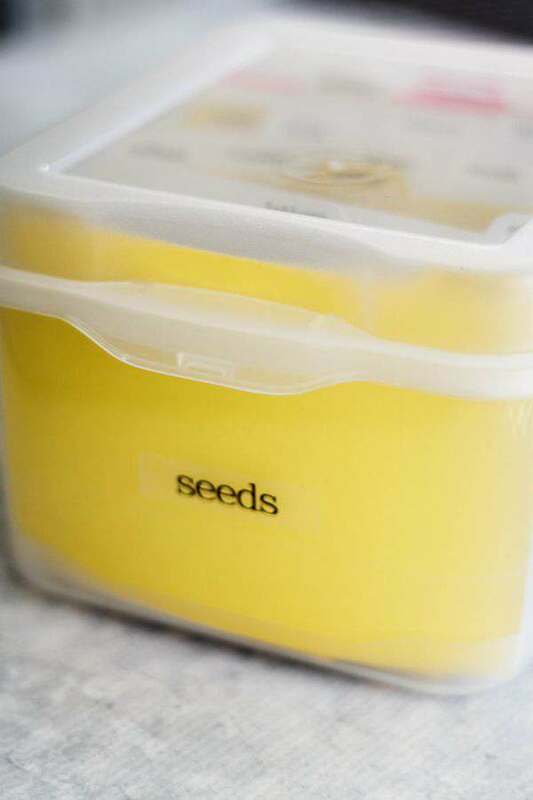 The plastic snap-on lid will keep the seeds from being exposed to spills or high humidity in my fridge. Its good practice to store seeds in a dry cool place. Since its so hot and humid here most of the year, I keep the seeds in the fridge. I also have some seeds in prescription bottles that are easy to make. What an easy project and didn’t take me days to do and the total cost was less than $5.00 for the plastic CD container. 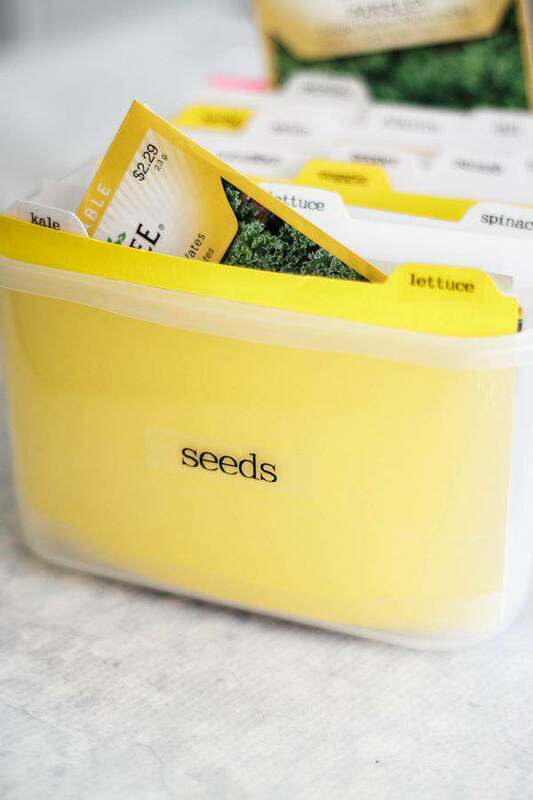 That is a great way to keep your seeds organized! That way you’ll find what you need easily! I cleaned out a kitchen drawer recently and won’t admit to how many seed packets were in there 😉 Maybe I will actually plant them this year. Love your seed storage idea. It’s perfect. I rarely ever use my label maker so this is a good reason! I only grow heirloom seeds and so save seeds every year from all my different plants. My go to has always been envelopes and places in a file so they can be easily seen and found. HI Candy, I am starting to grow heirlooms and a few packets were given to me. I hope they do well for me. Thanks for stopping by. What a great way to get a jump start on Spring planting. I am never quite that organized and typically end up killing my plants. I need a gardening intervention! Great idea for the green thumbs out there! We don’t plant anything in our backyard but my neighbors do so I’ll recommend this to them. What a great idea! 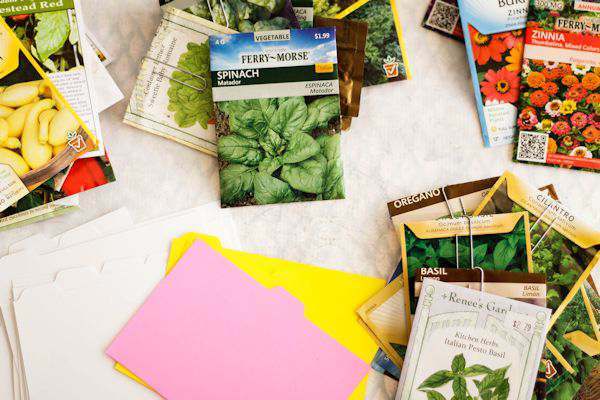 I recently started dabbling in growing plants and I quickly lost all my seed packets! I just moved into a new apartment, so I haven’t sorted out my life yet. I love organizing and can’t wait to start a new project with labels. This sounds like a great way to store your seeds. Much more handy than my seed storage system, which is nonexistent. I don’t store any seeds. I do know that I have a friend who works with seeds that always struggles to keep them safe and in their place, I’m sure she would appreciate this. Thanks for stopping by. Try starting with a pot and planting one item like pepper or tomato plant. That will get you started and is an easy way to learn from. 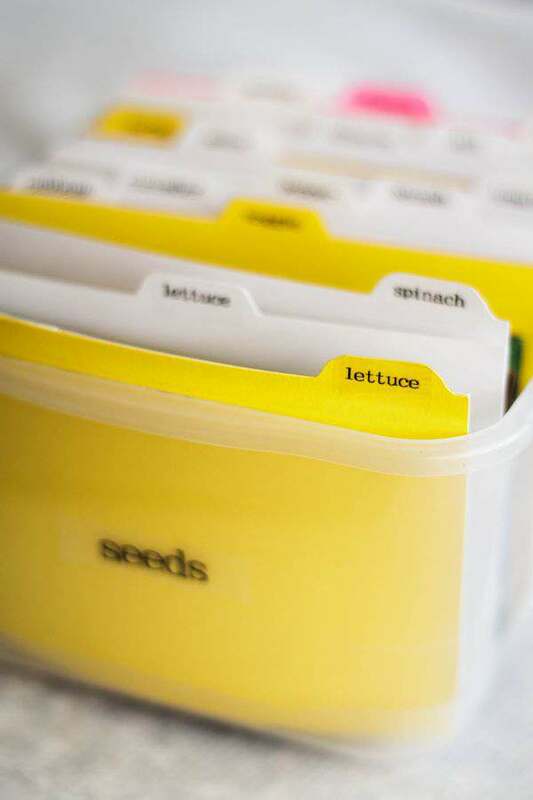 This is a great way to store and organize your seeds. I will be doing a lot of gardening this year and I would love to try this method.